Composed by Dmitri Shostakovich (1906-1975). Op. 102. Piano duet book (requires 2 copies for performance) for piano duet (2 pianos, 4 hands). With solo part and piano reduction. F Major. Published by International Music Co. 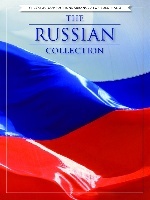 Composed by Dmitri Shostakovich (1906-1975). 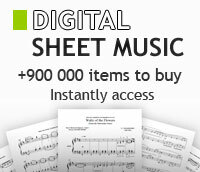 Set of performance parts (includes separate pull-out violin part) for violin and piano. With solo part and piano reduction. A Minor. 76 pages. Published by Sikorski. Unlocking the Masters Series. By Dmitri Shostakovich. AMADEUS. Softcover with CD. Size 6x9 inches. 217 pages. Published by Amadeus Press. Two Pianos, Four Hands. By Dmitri Shostakovich. (Piano). Piano Large Works (Arranged for piano). Book only. Size 9.25x12.5 inches. 64 pages. Published by Sikorski. Study Score. By Dmitri Shostakovich. (score). Study Score. Size 4.2x7.5 inches. 104 pages. Published by Boosey & Hawkes. Set of performance parts. By Dmitri Shostakovich. 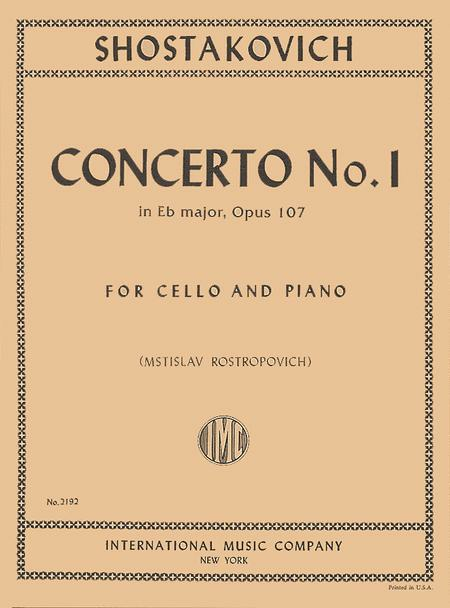 Arranged by Mstislav Rostropovich. (Cello). String Solo. Size 9.25x12.25 inches. 68 pages. Published by Sikorski. Composed by Dmitri Shostakovich (1906-1975). This edition: softcover. Study score. 104 pages. Sikorski #SIK6621. Published by Sikorski (HS.50499484). Study Score. By Dmitri Shostakovich. (score). Study Score. Size 6x8.2 inches. 72 pages. Published by Sikorski. By Dmitri Shostakovich. (Score). Study Score. Book only. Size 6x8.25 inches. 72 pages. Published by Hal Leonard. Study Score. By Dmitri Shostakovich. (score). Study Score. Size 5.25x7.5 inches. 112 pages. Published by Boosey & Hawkes. Set of performance parts. By Dmitri Shostakovich. Arranged by David Oistrakh. (Violin). String Solo. Size 8.25x11.75 inches. 64 pages. Published by Sikorski. By Dmitri Shostakovich. Cello and piano. Published by International Music Co.
Study Score. Composed by Dmitri Shostakovich (1906-1975). Study Score. Score. 128 pages. Sikorski #SIK2241. Published by Sikorski (HS.50481440). Two Pianos, Four Hands. By Dmitri Shostakovich. (Piano). Piano Large Works (Arranged for piano). Book only. Size 9x12.3 inches. 52 pages. Published by Sikorski. Full Score. By Dmitri Shostakovich. (score). Study Score. Size 6x8.2 inches. 120 pages. Published by Sikorski.